What is a New Mexico Living Will? New Mexico Living Will: What Is It? A New Mexico living will is often referred to as an advanced healthcare directive. The purpose of a New Mexico living will is to have a written declaration of your wishes related to medical care. It will be used in the event that you're no longer able to make your own medical decisions for any reason. A New Mexico living will is also used to name an agent who will act on your behalf and make medical decisions. Although a New Mexico living will does not legally need the signatures of two witnesses, it is recommended in order to minimize the risk of an accusation that the document is forged. § 24-7A-2: The purpose of a New Mexico living will is to give individuals the right to document their wishes related to their healthcare for a time when they may not be able to make their own decisions. The named healthcare agent may only act with authority if the principal is determined incapacitated by a doctor, and they lose their authority if the principal is later declared to have regained their capacity. 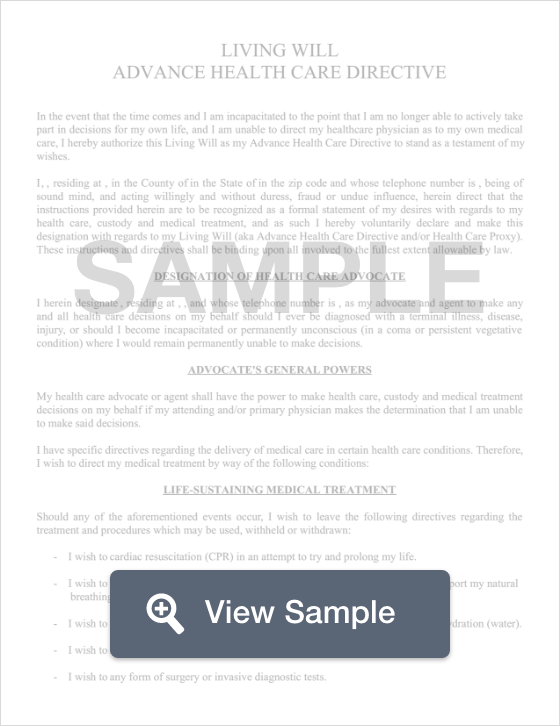 An advance healthcare directive, or living will, is only used to make decisions related to healthcare. Other wishes and decisions should be documented in a New Mexico last will and testament.